What Other Features Do an Interactive Org Chart Software Have? Feel free to click on and check out the explanation screenshot for more details from here. Normally, interactive tools include all the necessary org chart functions, like add branches, employee photos etc, but in a quicker way. 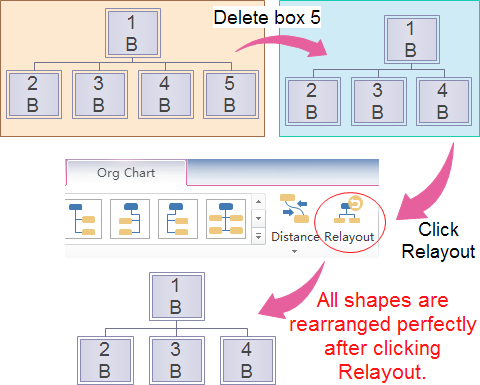 This diagram below shows you an example of quickly changing the layout style of your org chart. 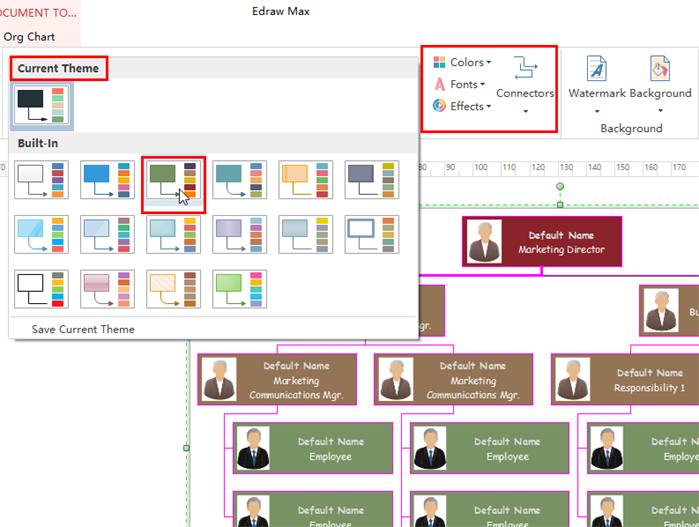 Just by clicking one or two icons, all shapes in your org charts will be rearranged automatically. 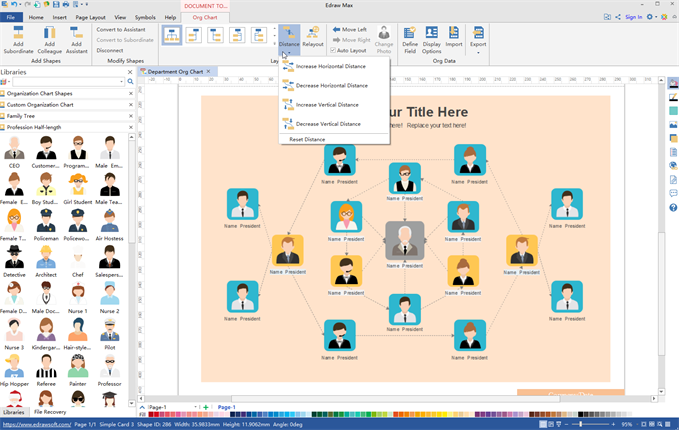 More specifically, an interactive org chart software may also include some display options for you to highlight the important parts of your staff. For instance, this example here shows you the full details of a finance manager. 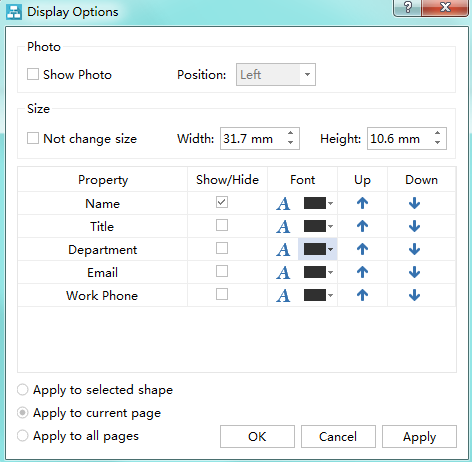 Therefore, you can further adjust the color, font, width for each of the elements. What If Switching Themes in an Interactive Org Chart Software? It also works. You can have a try. Indeed, it may make you feel boring to see single dark color org charts at all times. Therefore, a different color theme with various text fonts and shadow effects would be better. All can be done within a few clicks. 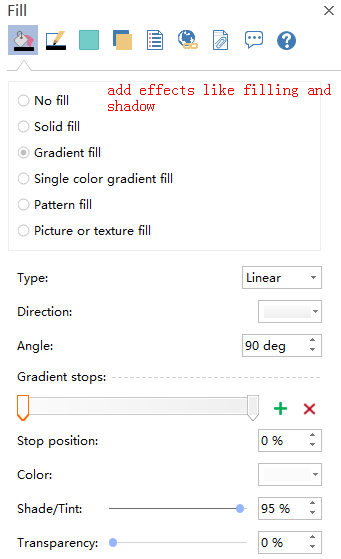 You can also give a shot to different fill styles, angle degrees, shade or tint, and transparency etc. I Wanna Try Right Now. Where Should I Begin? Overall, an interactive org chart software provides users great handy solutions to create various org charts. You can easily use different auto-create tools and built-in org chart resources to enrich your work. Simply refer to this free download org chart creator to get started. Alternatively, feel free to use this easy org chart creator for more advanced settings and management of your business teams.